THE theft of a $12,000 fridge from Marley Brown Oval is hurting the Gladstone-based hire company that owns it. The fridge contained about $7000 in booze. 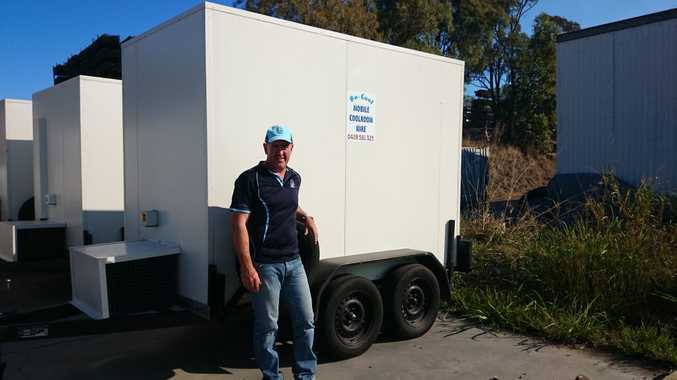 Be-Cool Mobile Coolroom and Freezer Hire owner Anthony Old said the company was losing about $1000 a month due to the theft of the custom-made fridge. "I'm obviously pretty disappointed, it was the newest fridge in our fleet," Mr Old said. "The hardest thing is the time delay, we can't hire it out because we don't have it." He said the company didn't lock down its fridges or take off the wheels, but that the company might review its policies. "The thing is, if criminals really want it bad enough they can still get it," he said. Mr Old said the fridge would last 10 years and could be plugged into a household power point. "It could be hidden in someone's back yard," he said. He said if anyone had any information about the fridge's whereabouts they should contact police. "Or they could let us know, just as long as we get it back," he said. Mr Old has a strong connection with Gladstone rugby league, with his son playing in the junior league and he also sponsors the competition. "The criminals obviously knew which one they were after because there were two fridges there and one was filled with ice," he said. Mr Old has offered a $500 reward for information that would lead to the fridge being found.